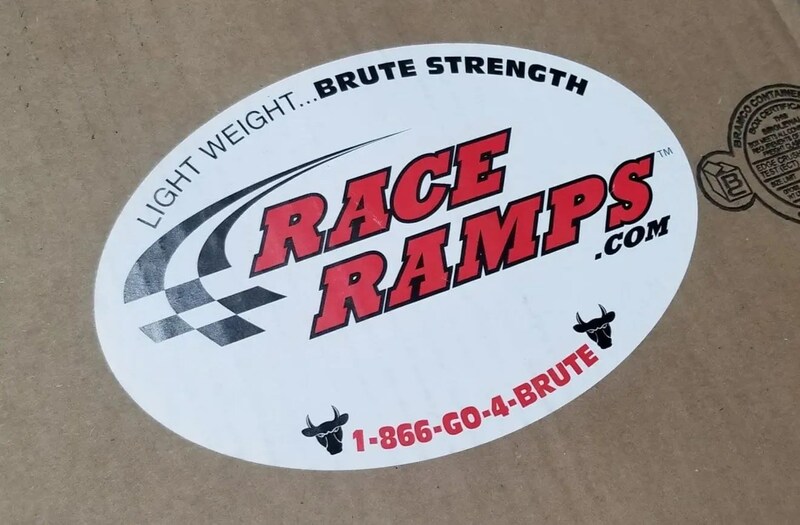 If you haven’t seen the custom ramps over at RaceRamps.com and you’re into any sort of powersports, you should really check them out. 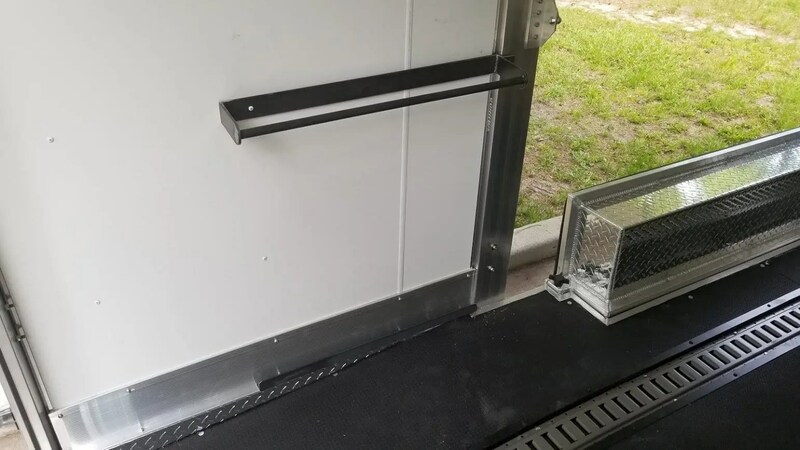 They make a line of trailer ramps that help extend the drive up door for low vehicle entry. The ramps are good looking and functional, but you do need to find a way to store them when they aren’t in use. Here’s what we did. Our client had a beautiful custom car hauler, with a goal to simply accommodate the ramps in an unobtrusive spot. In addition, we wanted to avoid making new holes in the trailer if at all possible. The solution was quite simple – a small strip of angle iron at the bottom to hold the end of the ramps against the wall, and a custom rack to slide the top down into. 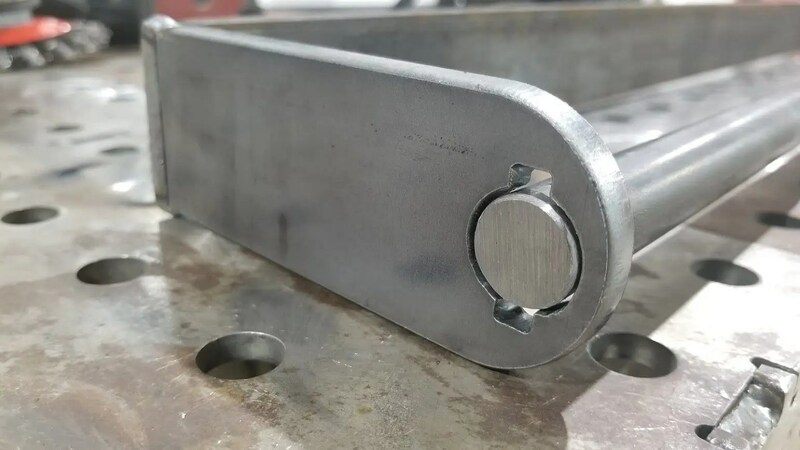 This simple build began with a set of custom CNC cut plates made from 1/4″ steel. 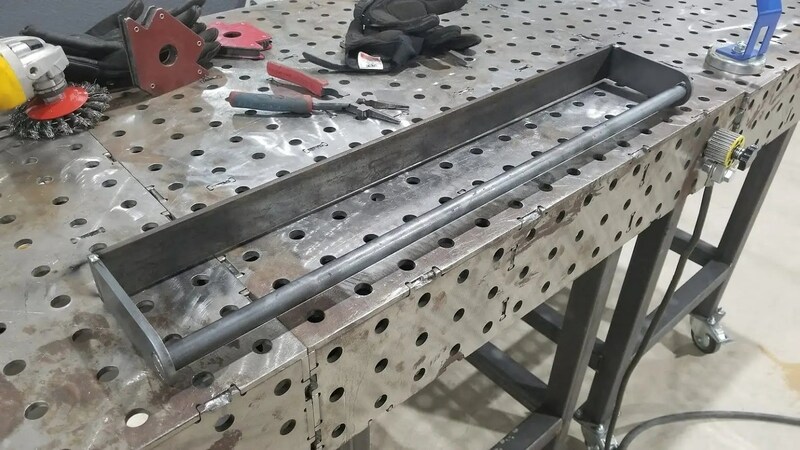 The plates had 3/4″ holes to accommodate a solid bar, plus small welding tabs on either side of the holes. The top rack was assembled and tack welded so it could be test fit in case any adjustments were necessary. From that point, the product was fully welded and installed in the trailer. 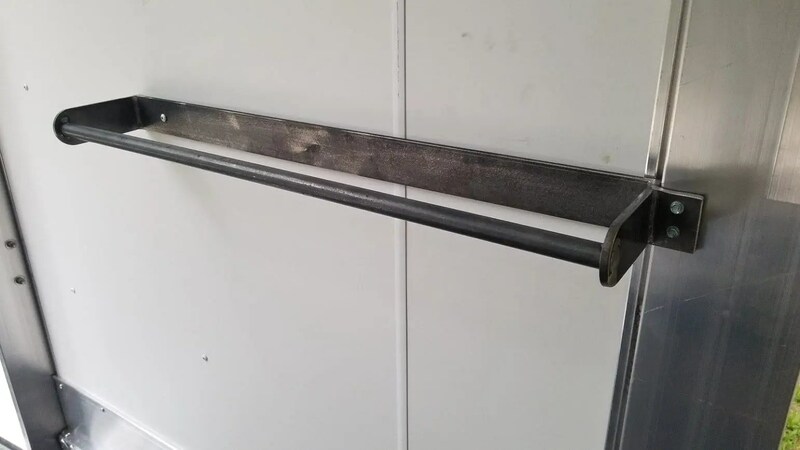 The small strip of angle iron at the bottom had the corners rounded and smoothed for safety, and was installed using three existing screws which previously just held trim in place. The top bracket was installed using an existing screw on the left, and by adding two new heavy duty screws on the right. 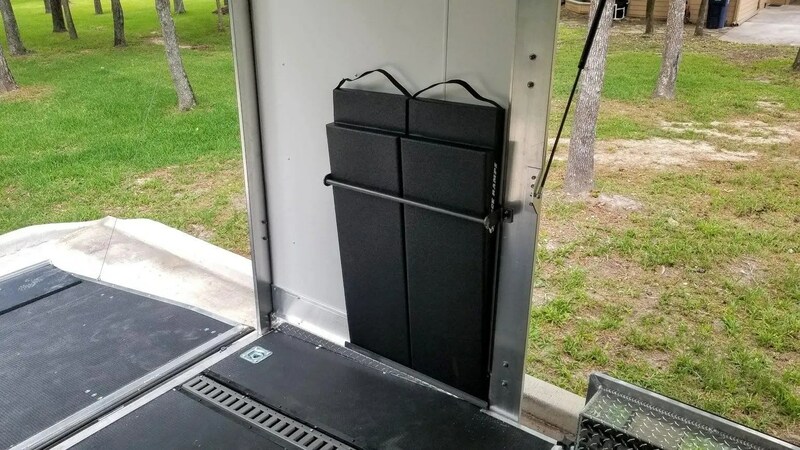 The finished install is minimal, and actually offers the added flexibility of serving as a towel or tool rack when not being used to store the Race Ramps. Installing the ramps is as simple as dropping them in from the top, and they aren’t going anywhere! A little paint or powder coating is all that’s needed to finish them up so they blend with the interior perfectly!